Product prices and availability are accurate as of 2019-04-16 23:14:34 EDT and are subject to change. Any price and availability information displayed on http://www.amazon.com/ at the time of purchase will apply to the purchase of this product. 1). Excellent reception on all FM/VHF/UHF channels. 2). Can be safely painted to match any home décor without affecting reception or resulting in signal loss. 3). 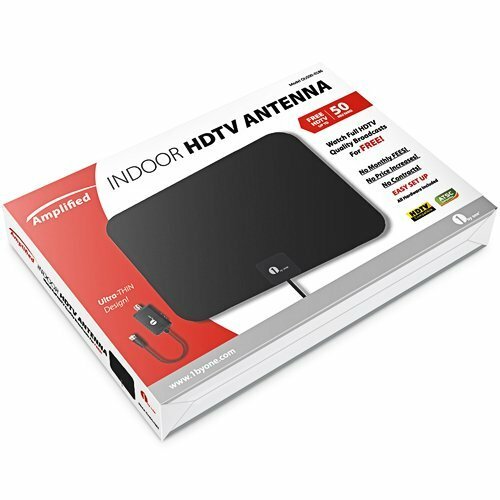 The super soft, unobtrusively thin design and powerful reception capabilities make this antenna a top choice for any home. a. Connect the antenna to “CABLE/ANT IN” on the back of any HDTV. 6. If your TV has no built-in tuner, you can add an ATSC digital converter box to receive the HD signal. 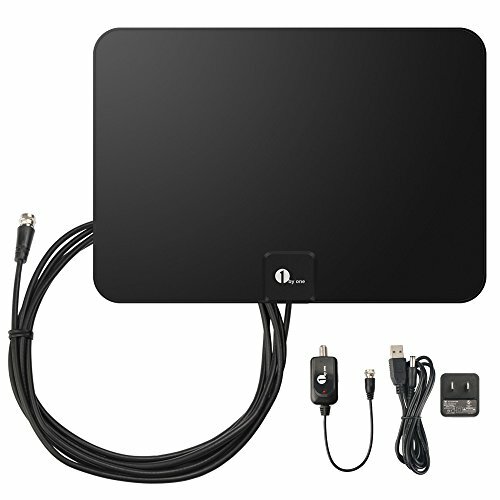 Search B07CF738QM or B01N5MLC1M on Amazon for the 1byone Converter Box. Free for Life - Never pay expensive cable or satellite fees again! 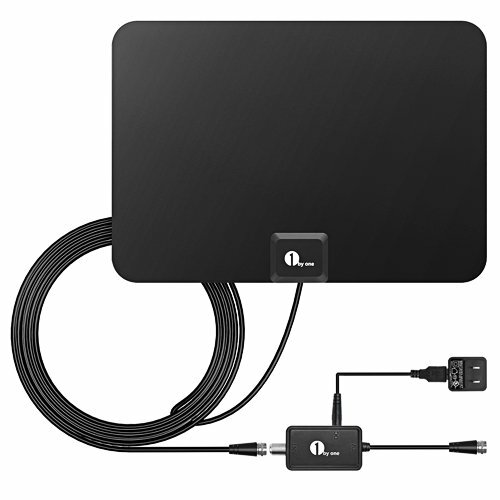 1byone TV Antenna can pull in all of your local news, weather, sitcoms, kids and sports programs absolutely FREE. High Performing Slim Design - Slim, soft and lightweight so you can hide it behind the TV, lay it flat on the table or stick it high on a window (with durability against moisture and direct sunshine). It'll pull in hundreds of crystal clear digital & HD shows! Included Detachable Amplifier - Use the amplifier for the tv antenna's full 50 mile range, or remove it for better reception of you live nearer to the TV broadcast tower. 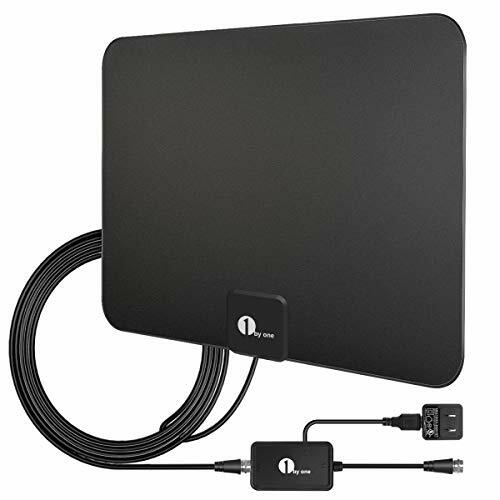 10FT Long Cable and USB Power - The long cable makes it easy to place the tv antenna in the best reception spot in your home. 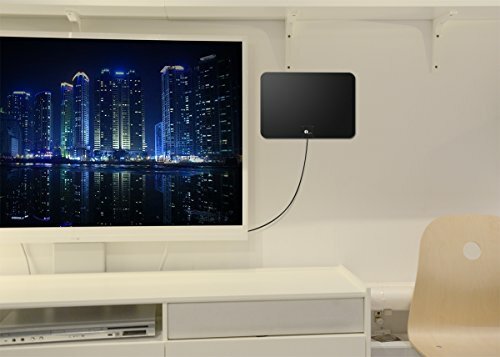 TV Antenna can be powered either by an outlet or a TV's USB port. What You Receive: TV Antenna with integrated 10ft Coaxial Cable, Detachable Amplifier, 5ft USB Power Cable, Wall Adapter 5V 100mA, 3M Adhesive Mounting Stickers, instruction manual, warranty card, 30-day full refund, and 12-month warranty with friendly customer service.